Ray Bacerdo is Of Counsel to the firm and a member of the Professional Liability, General Liability Defense and Appellate Departments. Mr. Bacerdo has over 20 years experience in the litigation and trial of cases, and has handled a broad array of cases from products liability, premises liability, personal injury, real estate, toxic tort, class actions and construction defect. Mr. Bacerdo has written or co-written over 30 appellate briefs and writs and has argued before the California Court of Appeals, resulting in a number of reported decisions in the appellate courts. Mr. Bacerdo’s experience encompasses handling arbitrations and mediations in State and Federal courts, and trying cases to verdict. He has also participated in pro-bono activities throughout his career and won awards for his pro bono legal work. Mr. Bacerdo is active in the community, including serving as an officer on the Board of Directors of the San Francisco Food Bank and the Academy of Friends. Mr. Bacerdo attended the University of California at Los Angeles for his undergraduate degree in Psychology, and received his J.D. from the University of California Hastings College of the Law. Mr. Bacerdo also studied taxation at Golden Gate University towards an LLM. 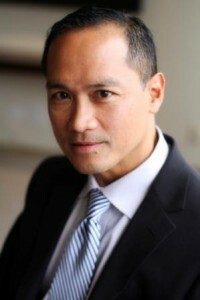 Mr. Bacerdo is a member of the State Bar of California and the Association of Defense Counsel of Northern California. Mr. Bacerdo is admitted to practice in all the courts of the State of California, the U.S. District Courts of California for the Northern, Eastern and Central Districts, and the Ninth Circuit Court of Appeals.